9 Cheap Bali Villas With Private Pool Under $100 Per Night! 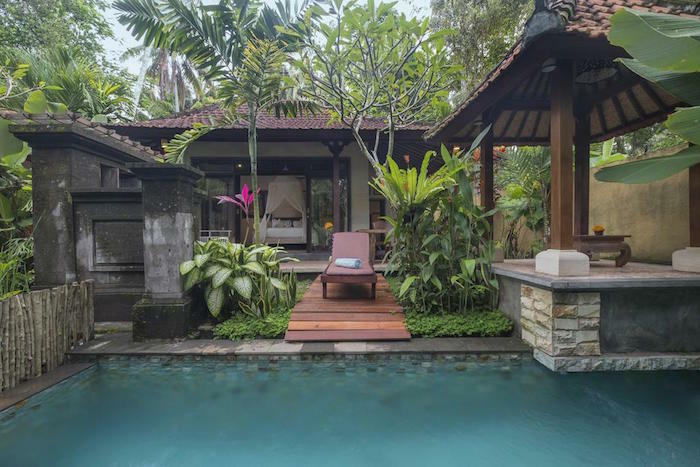 Having a Halal vacation in a beautiful villa in Bali, with a private pool just for you and your family – doesn’t that sound great? As a top tourist destination in Indonesia, the island of Bali has a long list of top hotels. 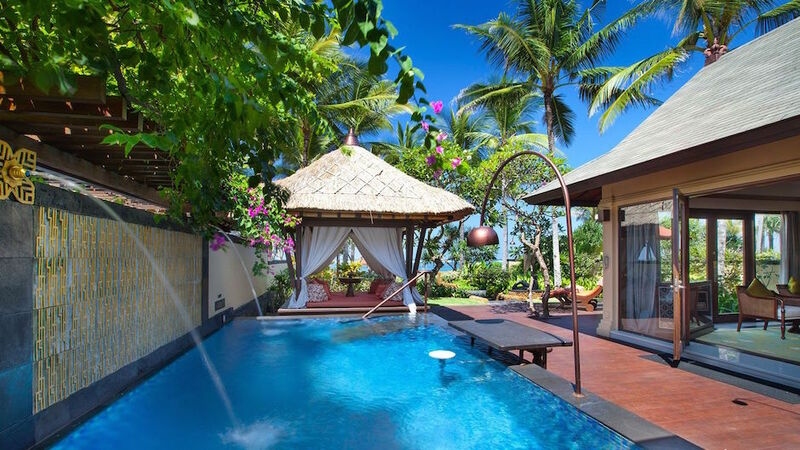 To make your job easier, we have listed down some of the best and cheap Bali villas with private pool – you can book them all just under $100 per night! 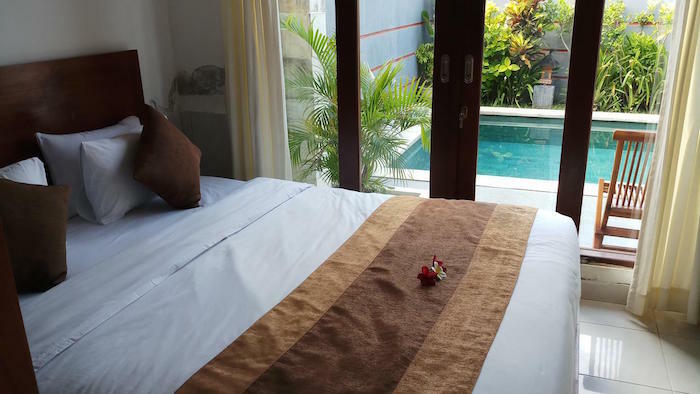 One of the best cheap Bali villas with private pool that you can book during your holiday in Bali is Paradise Loft Villas, located in the prime area of Nusa Dua. 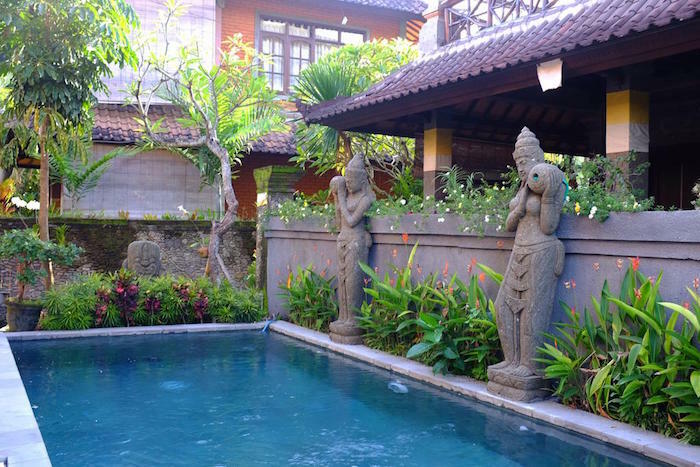 It is a perfect accommodation for Muslim travellers who seek to experience a true Balinese experience. You can choose either to stay in the one-bedroom or two-bedroom villa. They both come with their own private pool. And, the price for each one is very cheap – under $100 per night! Don’t worry about the cheap price, you will still be able to enjoy complete amenities inside the villas. There is a kitchen that is fully equipped with an electric stove, refrigerator, and an electric kettle. There is also an en-suite bathroom with complimentary toiletries. 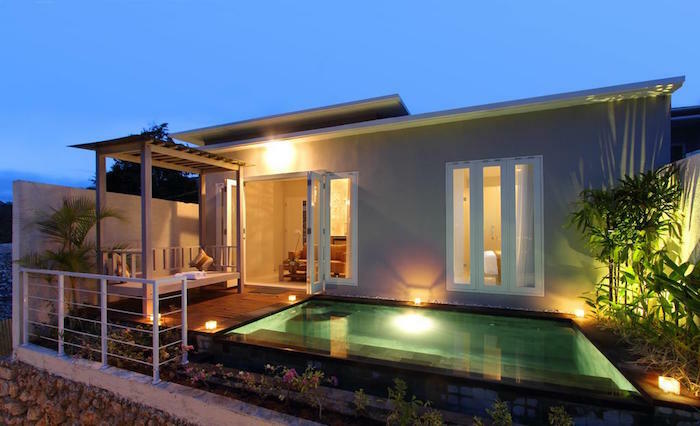 Alit Bali Villa, in Canggu, is also one of the best cheap Bali villas with private pool that you can consider. It is a beautiful and quaint villa that offers a comfortable stay to Muslim travellers. Here, you will stay at one of its spacious and well-decorated room. Outside your room, you will find a well-hidden private pool, ideal for the hijabers who would like to have some privacy. It makes a perfect place for you to unwind and relax during your holiday in Bali. One of the perks of staying at Alit Bali Villa is that you can ride the provided bicycles for free, and the beach is just 15 minutes away by bike! Also, you will be able to enjoy the delicious and Halal breakfast provided at this accommodation. If you prefer to stay in the lively area of Seminyak during your Halal vacation in Bali, then we suggest you consider Bali Paradise Suites. It is a one-bedroom private villa that is located very near to the beach, retail shops, supermarkets, and Halal eateries. Bali Paradise Suites is ideal for Muslim newlyweds or families who would like to enjoy a private holiday. The villa provides a fully-equipped kitchen, free Wi-Fi, a small and beautiful garden, as well as a private pool just for you and your family! The bedroom comes with an air conditioner, which is ideal for the hot and humid weather in Bali. If you would like to go to the nearby shops, you can rent one of the bikes provided at this villa. Located in Singaraja Regency in Lovina, Villa Dencarik is also one of the cheap Bali villas with private pool that you can consider. There are two units of villas that you can choose – either a one-bedroom or two-bedroom. The unit overlooks a beautiful private pool and small garden! The room also comes with a flat-screen TV and cable channels. This Muslim friendly villa in Bali also provides a complete kitchen, an air conditioner, and free toiletries. After having a private and relaxing day at the villa, you can go to the nearby Lovina beach which is located just 10 to 15 minutes away from the property. Here at Bali Vidi Villas, you will enjoy a private holiday with your family or friends. The unit either overlooks a private pool or a beautiful river stream. It is a self-service villa where you can cook your own meals in the provided kitchen and watch TV in the living room. There is an additional laundry service, ideal if you stay here for several days. In the evening, you can relax and unwind in the garden or take a dip in the outdoor pool. One of the good (and quite surprising!) feature of this villa has got to be its big tub in the private bathroom! This lovely feature makes it an ideal accommodation for Muslim newlyweds. With a room rate of under $100, this villa is definitely a hidden gem in Bali, Indonesia! Instead of staying in a regular house-like villa, how about experience something unique and different in Bali? Have a stay at Noah Villa and Chapel. It is an interesting villa that provides complete facilities to its guests and features an ark-shaped hall in its garden. It is set amidst a beautifully landscaped garden and the unit comes with a private plunge pool and Wi-Fi connection. You can book the one-bedroom villa for just under $50 per night! The guestroom features a contemporary decor, big and comfy bed overlooking the pool. Prepare your own simple meal in the small kitchenette or dip in the pool on a hot sunny day. If you feel like exploring Bali, you can arrange a car rental or day trips to the nearby attractions at the tour desk. 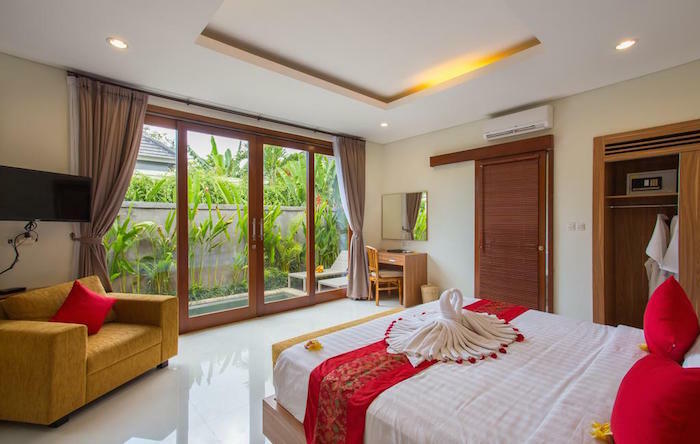 If you would like to enjoy an intimate stay with your spouse, then Istha Puri 2 is also one of the perfect cheap Bali villas with private pool to consider. It is a one-house villa that comes with a single bedroom, a seating area, and a private pool. This small and private villa makes an ideal honeymoon accommodation for young Muslims out there. From your comfy bed, you can look at the beautiful garden and pool. The cool thing about this cheap villa in Bali is that it provides a barbecue facility. You can grill your own dinner meals by the pool at night, isn’t that lovely? Rate: $47 for the whole house! 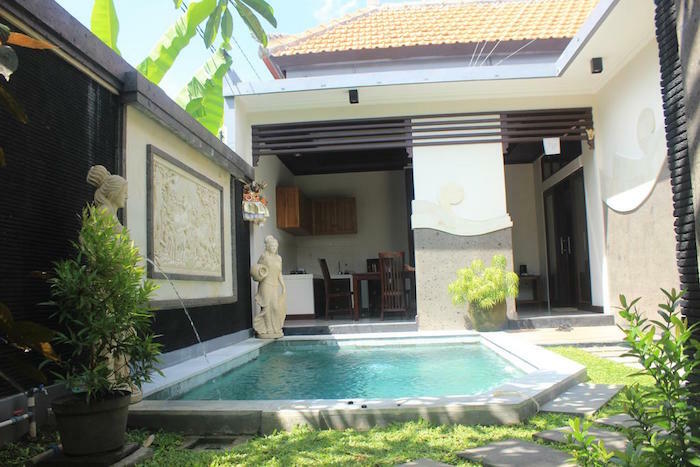 If you are taking your whole family to Bali and would like to stay in a two-bedroom villa without paying an expensive price tag, then Villa Pecatu is worthy of your consideration. It only costs $90 per night for you to get the villa all for yourself. Here at Villa Pecatu, you don’t have to worry about the facilities. The hosts of the villa, Pak Made and Ibu Wayan, have taken the effort to provide complete amenities. There are two large beds, a big bathroom with a bathtub, free toiletries, a kitchenette, Wi-Fi connection, TV, patio, balcony, a private pool, as well as a daily housekeeping service! 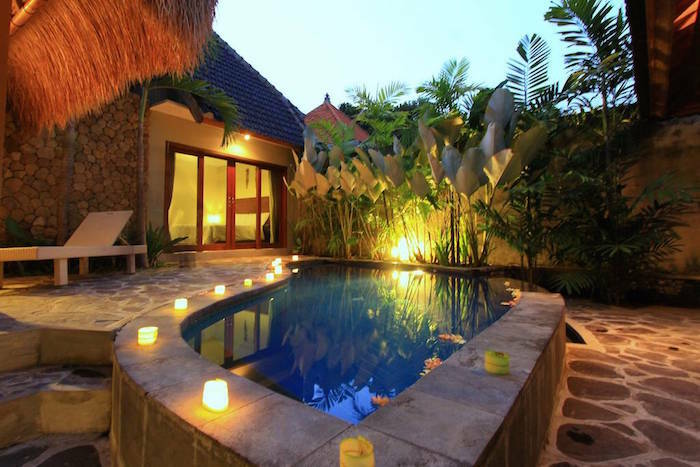 Are you looking for cheap Bali villas with private pool for your spouse and kids to enjoy during your Balinese holiday? Then, you should also consider Virmas Private Villas. This is one of the best places on the island to enjoy a private retreat with your loved ones. Virmas Private Villas is a cheap and beautiful accommodation that is surrounded by nature. Here, you can enjoy the lovely villa, spa service, and a relaxing day at the pool (the pool is huge!). Inside the spacious villa, you’ll find a living room, a kitchenette, en-suite bathroom, and a dressing room. What a fantastic villa in Bali! Consider these 9 cheap Bali villas with private pools for under $100! A comfortable and fun holiday in Bali does not need to be expensive. 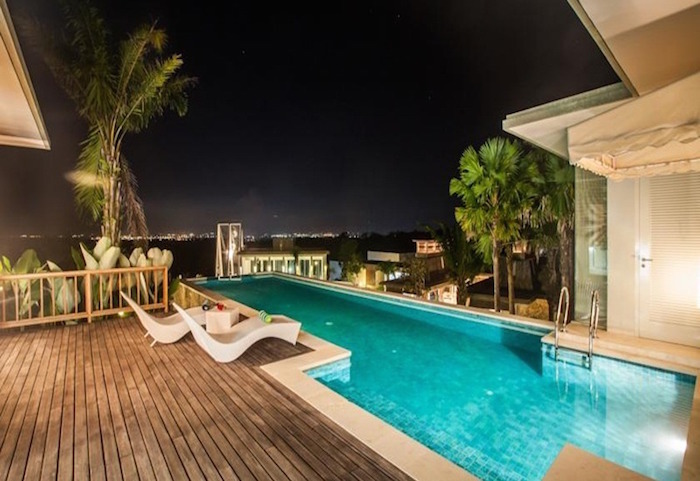 There are so many cheap Bali villas with private pool on the island for you to consider. How about you start with the 9 amazing Balinese villas above?